Cardiff NHS Hackday #nhshd Live! Here’s a taster. 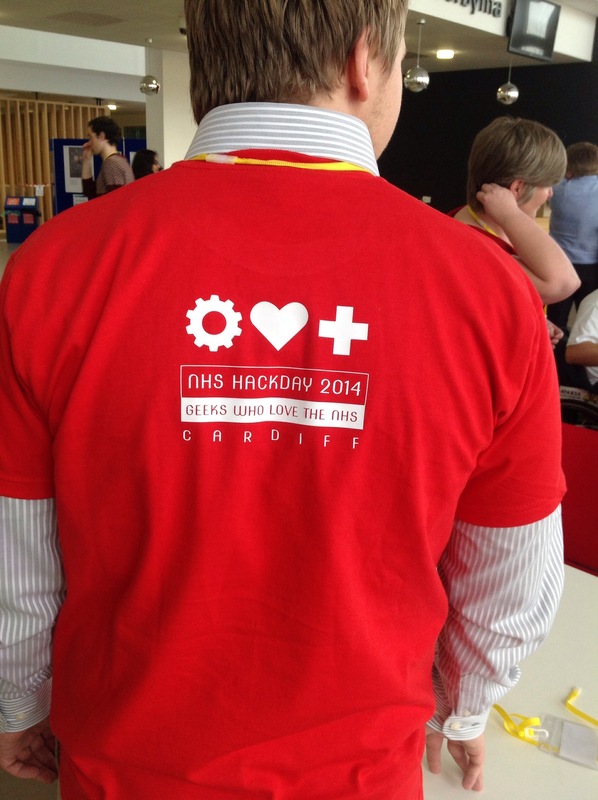 This weekend is the NHS Hackday in Cardiff that I’ve mentioned previously. We are about half way through Day 1 (having a very nice lunch). There is huge amount of material that’s being created over the weekend. Part of what we are doing is trying to share it as widely as possible, and here is a guest post from Tanwen (who I work with) that gives a flavour of what is happening. I feel I’ve witnessed quite an achievement here today, at the NHS Hackday. A whole bunch of volunteers from the very different worlds of the NHS and software development have gathered in Cardiff University. They’ve pitched lots of disruptive solutions for problems in health – and charged ahead with making these ideas a reality by the end of the weekend. Not all of these ideas will become reality and only one can get a prize at the end of the weekend. But I’m impressed with all the ideas that have been pitched so far and wanted to show you some examples of what volunteers can create in a single weekend – and not through a long, drawn out process. One strand of ideas developed around better ways of communicating and presenting complex medical information – great from my point of view. How about a simple, user-friendly multimedia platform to educate patients on their drug treatments? Or a visual tool to check the vision of people who can’t read charts, without needing anaesthetic? Or even single screen graphic presentations for integrated care teams in A&E? I also picked up on some ideas to support health in the community. One useful idea was a program for handheld devices, to allow health staff to cut down on admin while out in the community – like sending prescriptions straight to the local pharmacy. And how about a QR code on the side of cycling helmets, presenting basic medical and location information to rescuers? Considering the wealth of knowledge and data within the NHS, many ideas obviously focused on gathering and sharing this knowledge. One example was an app to bring together local knowledge and guidance on palliative care for staff working in the area. Another was a web-based program to gather all the knowledge and lessons learnt that come from quality improvement projects, that are often lost at the moment. And of course, for someone from the Wales Audit Office, this selection wouldn’t be complete without the ideas to improve monitoring. But, this includes an interface to monitor complex drug interactions while treating drug-resistant forms of tuberculosis. Or a platform with lots of modules to allow patients to monitor their own conditions and make sure they are improving or staying on track. Or even a simple platform for students to keep track of all their workplace based assessments. As I write, I am surrounded by NHS specialists and developers busily working in teams to finish some of these great projects. Tomorrow, I’ll get to see who has managed to produce their product and who wins first prize – keep an eye out for the next blog and follow #nhshd on Twitter. See what practical benefits two days, dozens of volunteers and some teamwork can bring to the world of healthcare. ← Changing Faces, Changing Audit, and what really motivates people.